You must be registered to download an extension. 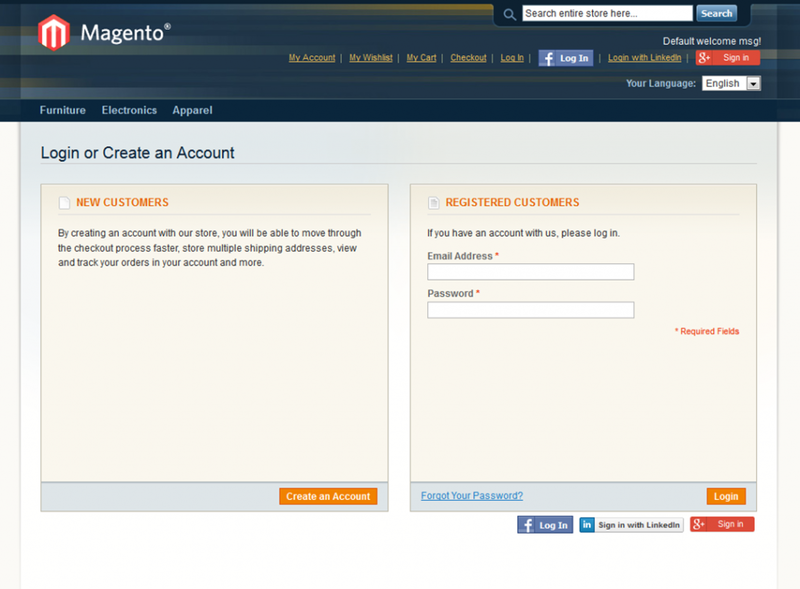 Our support team will create or modify a store theme for Social Connector for Magento ® that matches your existing one. 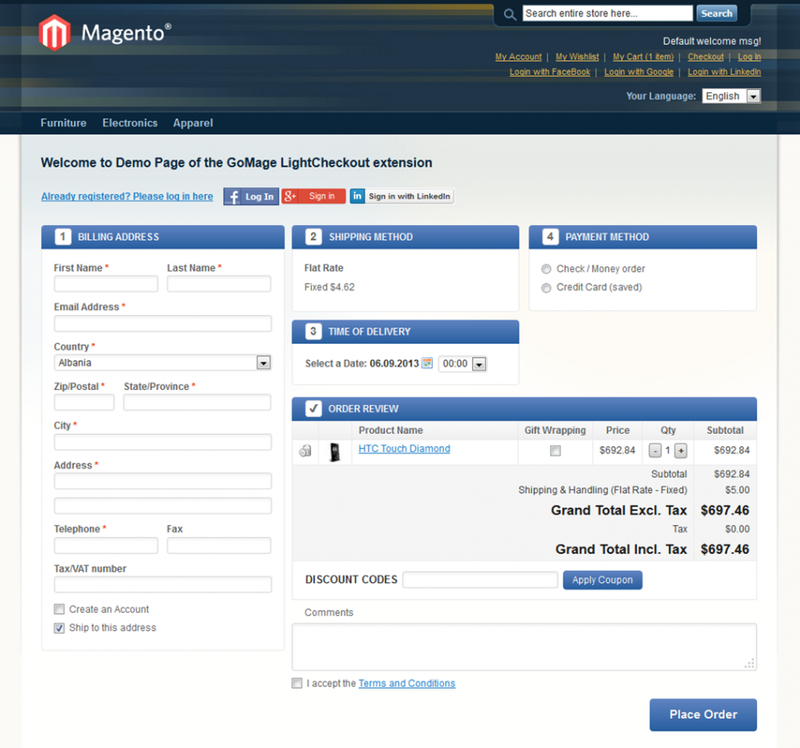 The largest drop-off of clients is in the registration funnel, so you can make this boring process easier with Social Connector for Magento ® by GoMage. 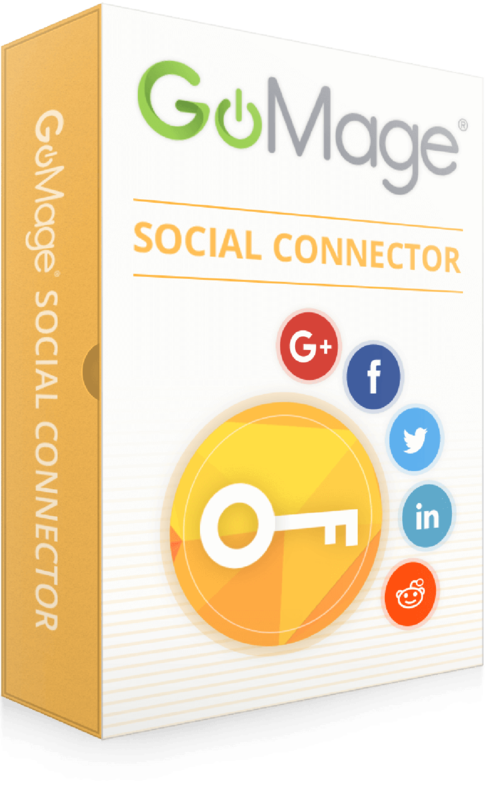 Your potential buyers are able to use their accounts from networks including Facebook, Amazon, Google Plus, LinkedIn, Twitter and Instagram. They don’t need to generate a new login name, a unique password or waste their time by typing information into the registration form. 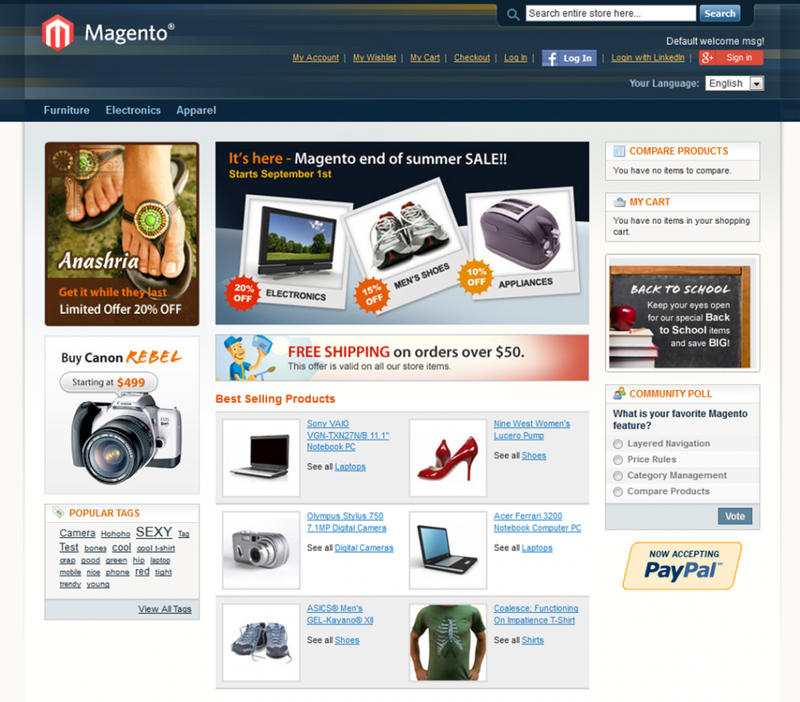 You can use this feature like an extra, free-of-charge service in your online shop. Easy installation of the extension allows you to just upload files and use it. There is NO FREE SUPPORT for this extension. I used this extension without any flaws. It was good and easy to use. 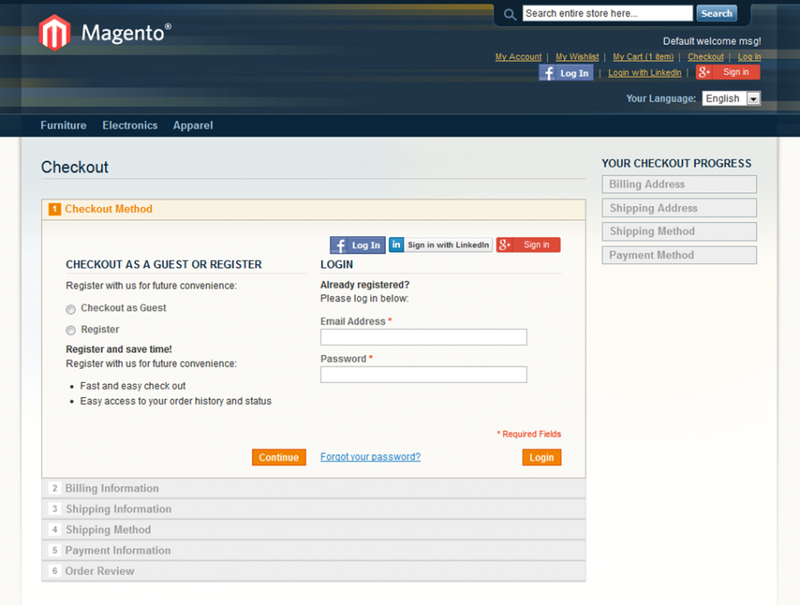 Usually when we use the authentications for logins its a headache. This extension has saved a lot of developer time. Greet mod! Works very simple! Fixed a bug with Facebook API version 2.4. Code refactoring and stability improvements. 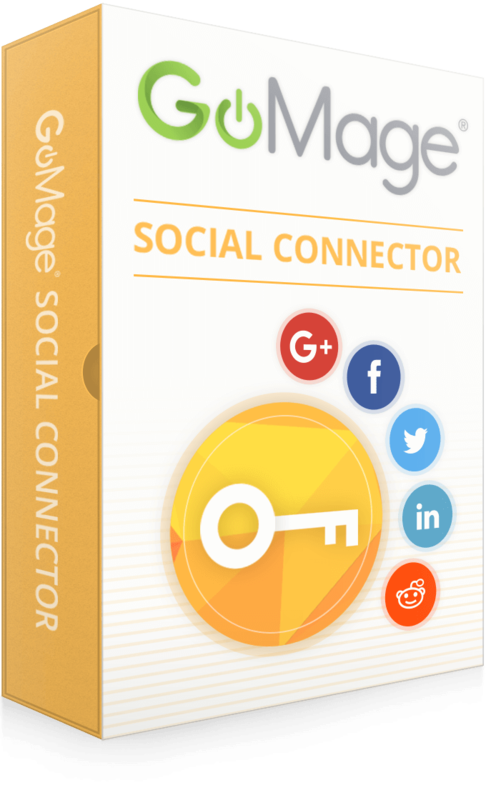 GoMage Social Connector is released.